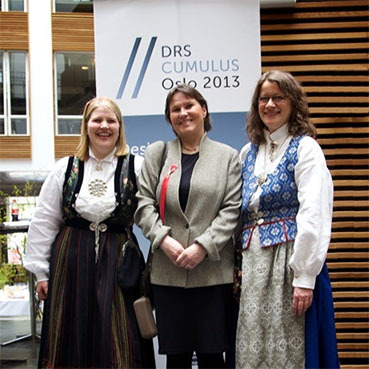 This issue of FORMakademisk is built upon papers from the DRS//CUMULUS Oslo 2013 con­fer­ence — 2nd International Conference for Design Education Researchers — at Oslo and Akershus University College of Applied Sciences (HIOA) 14-17 May 2013 in Oslo. The conference was a cooperative event between the Design Research Society (DRS) and the International Association of Universities and Schools of Design, Art and Media (CUMULUS), and hosted by the Faculty of Technology, Art and Design at HIOA. The theme for the conference was Design Learning for Tomorrow — Design Education from Kindergar­ten to PhD. The conference received an overwhelming response both ahead of the conference, with 225 admitted papers, and during the conference with 280 delegates from 43 countries listening to 165 presentations and having a good time in Oslo. The last day of the conference was the 17th of May, Norway National Day, with traditional songs and a children’s parade in the centre of Oslo. We see this positive response to the conference as a growing awareness of perceiving design in a broad interdisciplinary perspective in support for a better tomorrow. For years the Design Literacy Research Group, with a base at HIOA in Oslo, has promoted the idea that sustainable design solutions should include more than ‘professional’ designers; they should also include the general public as ‘conscious’ consumers and decision makers with responsi­bility for quality and longevity, as opposed to a ‘throw-away’ society.